An outstanding long fluted lily flowering tulip in rich carmine red with a dash of pure yellow at the base. 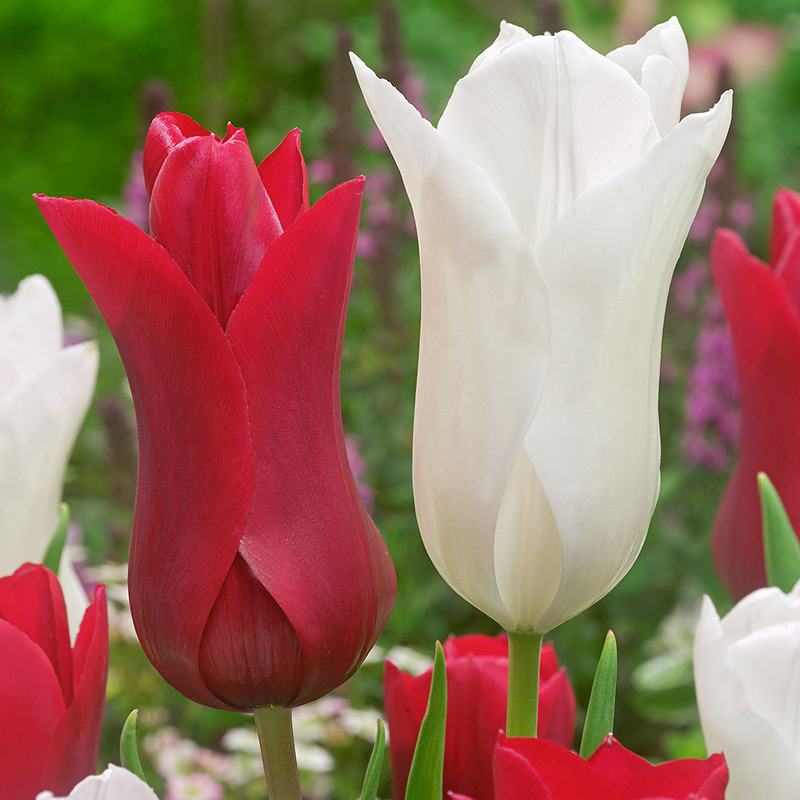 The lily flowering range are some of our most popular tulips due to their unique fluted petals that gracefully reflex suspended on tall, fine wiry stems, the whole effect resembling a lily. 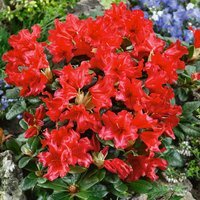 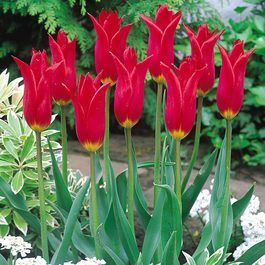 With its height of 65cm Red Shine makes a great cut flower and is striking when planted in the bed or border. 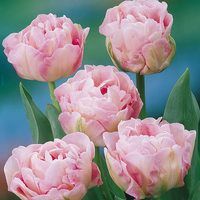 Flowers mid-May. 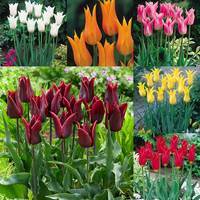 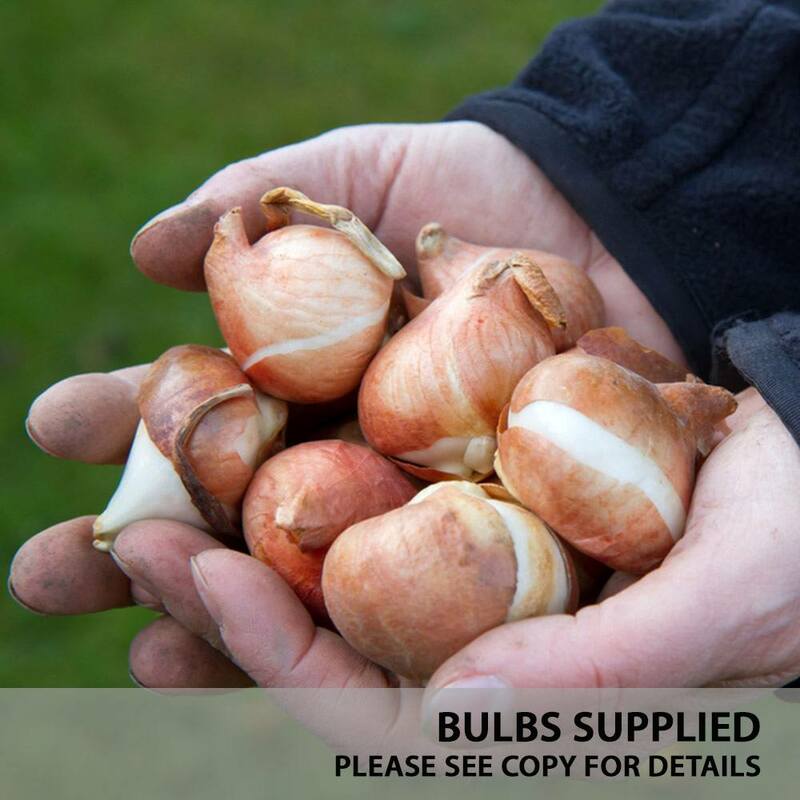 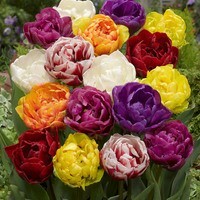 11-12cm bulbs supplied.